Adele’s sudden, calculated comeback has begun, starting with a snippet of a song that premiered as a commercial during X-Factor U.K. It’s a safe bet that you’ll be seeing her face everywhere again soon, so prepare yourself. Page Six reports via sources that Adele has lined up appearances with Saturday Night Live and The Today Show to promote her upcoming third album, which has so far been a covert operation. There’s also word of an X-Factor cameo. In the meantime, the nearly 30-second snippet that’s been circulating sounds like another one of Adele’s elegant, plainspoken ballads about being broken, and just this snippet of a follow-up to her record-breaking 19 and 21 is already causing the sad boys and girls of the world great distress, in the best way. This is really the only time a lyric video is an acceptable visual presentation—as a re-introduction after a four year music hiatus. 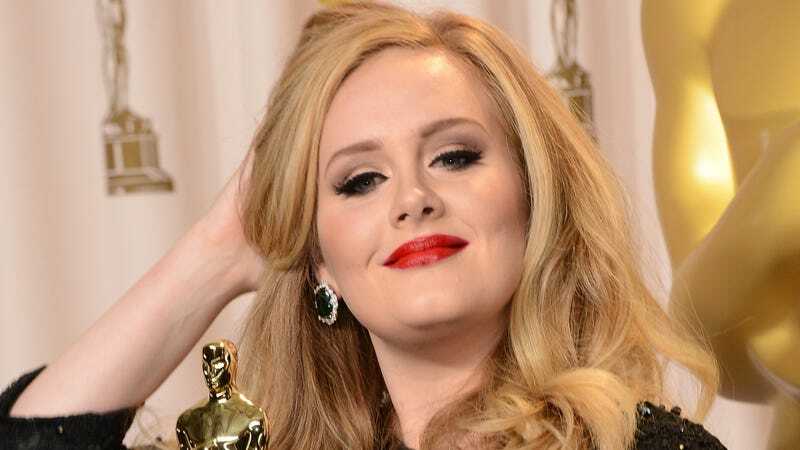 The album—possibly titled 25—is rumored to be dropping in November, but Adele’s reps won’t confirm any details.